Thomas P. Kiska, 86 of Norwalk died on Monday, March 14, 2011 in the Norwalk Hospital after living courageously with multiple myeloma for the last 5 years. He was the loving husband of Helen Chad Kiska. Tom was born on September 22, 1924, son of the late Stephen and Anna Juhasz Kiska. He attended Norwalk Schools and was a WW II Veteran, having served in the U.S. Navy from January 1944 to April 1946, during this time as a torpedo man on the U.S.S. Holt. He was a retired auto body repairman working in several local repair shops before his retirement, when he moved with Helen to Hendersonville, NC in 1991. During these years, Tom and Helen enjoyed their new friends in NC and their long drives throughout the southeastern countryside. In addition to his wife, Tom is survived by seven loving children; Charlotte Czako (Albert) Bifano, Dianne Czako (Don) Eleck, Karen (Ron) Levasseur of Norwalk, Ann Huminski of Bethel, Thomas S. Kiska (Maddy Schlosser) of Wilton, Paula (Sal J. Jr.) Manzi of Silver City, NM and Jeff Kiska (Debra Randazzo) of Murphy, NC along with his brother Joseph Kiska and sister Veronica Kiska, both of Norwalk. He was predeceased by his brothers Ladislaus, Stephen and Frank and his sisters Agnes Deilus, Margaret Kiska, Anne Peden and Marian Kiska (Sr. Mary Bonaventure). He will also be sadly missed by his 16 grandchildren, 25 great-grandchildren, their families and several nieces and nephews. Many will remember him fondly by his optimistic attitude, good nature and somewhat veritable story telling. Tom became active during the 1960's with Troop 69 of the Boy Scouts which sparked many cherished friendships with the other leaders and their families. Camping and hiking became regular outings with his family for many years thereafter. 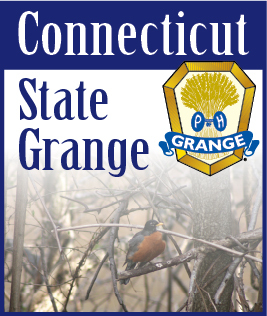 Tom and Helen were also very active in the National Grange, Tom having served as Master of the Norfield Grange in Weston, CT and also having received the 1994 Master of the Year Award from the Edneyville Grange in NC. Tom was a devoted husband and after returning to Connecticut in 2003, happily dedicated his later years to caring for his wife. He also leaves behind many friends at Broad River Homes and the Notre Dame Convalescent Home where his wife Helen is residing. Friends may call Friday from 4:00 to 8:00 pm at Collins Funeral Home, 92 East Avenue, Norwalk. A Mass of Christian Burial will be celebrated on Saturday at 12pm in St. Mary Church, 669 West Avenue, Norwalk. Internment will follow in St. John Cemetery, 223 Richards Avenue, Norwalk. In lieu of flowers donations may be made to St. Mary Church Renovation Fund or Notre Dame Convalescent Home. Please visit www.collinsfh.com to leave condolences.